A young husband received the call nobody wants. His wife was a dedicated paramedic. She was stopped along the Interstate helping the victim of an earlier automobile accident. A speeding driver suddenly approached, never slowed for the emergency scene, and lost control of his vehicle. He slid from the roadway and struck the young paramedic as she was performing her job duties. She lost her life while performing her job helping others. This tragedy should never have occurred. The ambulance was stopped on the shoulder with lights flashing. A police car was also at the scene with lights flashing. That’s two emergency vehicles with lights flashing and visible far down the highway. Why did the approaching driver NOT slow down? Why did the approaching driver NOT move over to the lane away from the parked emergency vehicles? After the driver’s arrest, the truth was revealed — he cared more about getting home quickly than he did the emergency responders in his path. For years, Alabama had what is often called a “blue light” law. That law required drivers to slow down and move to the next lane when approaching an active police vehicle on the side of the road. A few years ago, the law was amended to add other emergency vehicles. This included vehicles such as ambulances, fire trucks and wreckers. 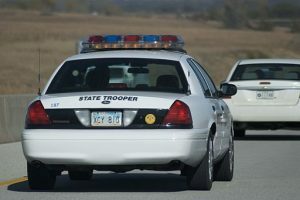 Since the law was expanded to include other emergency personnel, officials began referring to it as the “move over” law. The law promotes a common-sense safety protection. And, it is disturbing that many drivers simply ignore it. This is a common sense law needed to protect emergency workers who risk their lives daily for us on the highways. Across the United States, many state troopers are struck and killed performing their duties at routine accidents and traffic stops. Many state troopers will readily admit that standing on the side of a busy highway is one of the most dangerous parts of their job. Every state trooper fears being struck by an oncoming vehicle. The same is true for paramedics. The appearance of flashing emergency lights should automatically trigger every driver to slow down and move over to the next lane if possible. In our case, a husband and baby daughter lost their paramedic mother. We were able to help the young family recover needed compensation. Yet, no amount of help could ever fix their loss. No amount of help can ever return a loved one tragically taken too soon. The “move over” law was a central part of our case. We fought several insurance companies to recover all the available proceeds for this family. The insurance company covering the ambulance denied our initial claim because its policy only compensated individuals actually “operating” the ambulance at the moment of the accident. In our case, the young paramedic was on the ground a couple hundred feet from her parked ambulance when struck. Although the young paramedic was away from her parked ambulance when hit, we successfully argued she was “operating” the ambulance at the time. She was operating the ambulance by actively using its flashing lights for protection and actively using its communication device to keep in contact with her dispatcher. The court agreed and entered a judgment against the insurance company. One of the things that impressed us during the case was the outpouring of support for the paramedic’s family. The people who protect our lives deserve our support. We honor them by protecting their safety on the highway as well.